commented on "It was fun, fast and furious! Pecha Kucha is an idea that originated in Tokyo. You have 12 presenters, who choose 20 slides each ..."
It was fun, fast and furious! Pecha Kucha is an idea that originated in Tokyo. You have 12 presenters, who choose 20 slides each on their chosen topic, and then have 20 seconds per slide to tell their story. It's completely random - you never know who is going to present and what their topic will be. I was second up in the Nelson Arts Festival Pecha Kucha, held at the Mainstage at Founders Park and followed Adi Tait who spoke about gateways around the world in relation to the Kina Peninsula project. That was an appropriate lead-in to my topic, which was, of course, the Church Steps. 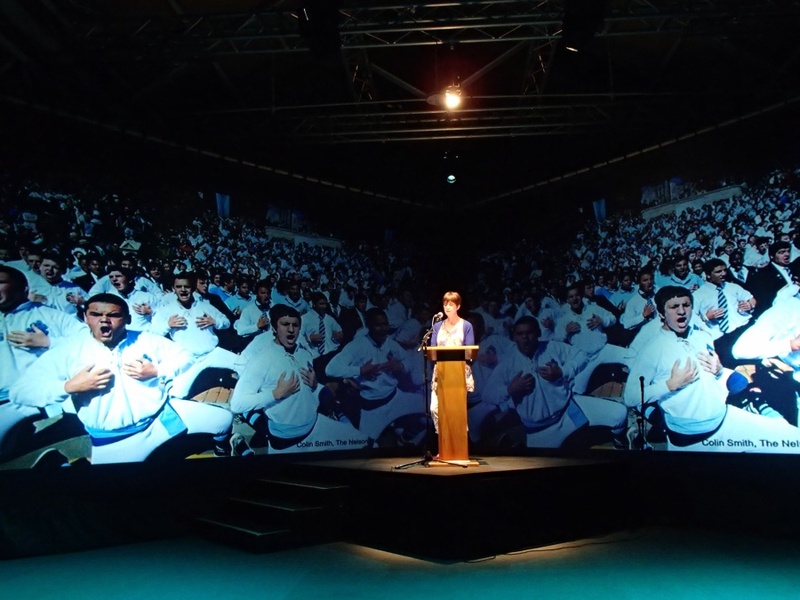 My chosen images were shown off to perfection on the large double screens behind the lecturn. But phew! It's a tough call to tell the stories of each image in 20 seconds and my radio journalism training was very helpful in cutting them down to fit the timing.